The 2018 Freeride World Tour concluded this week with a bang at its traditional season-ending final stop, the storied Xtreme Verbier freeride contest, and what a worthy finish it was. With snow conditions that haven’t been seen in years on the daunting Bec des Rosses (3,223m) contest face, competitors in all categories—men and women, ski and snowboard—let fly with spectacular high-speed descents, huge airs and mid-run tricks in one final gamble to grasp a piece of freeride glory in the 2018 season. 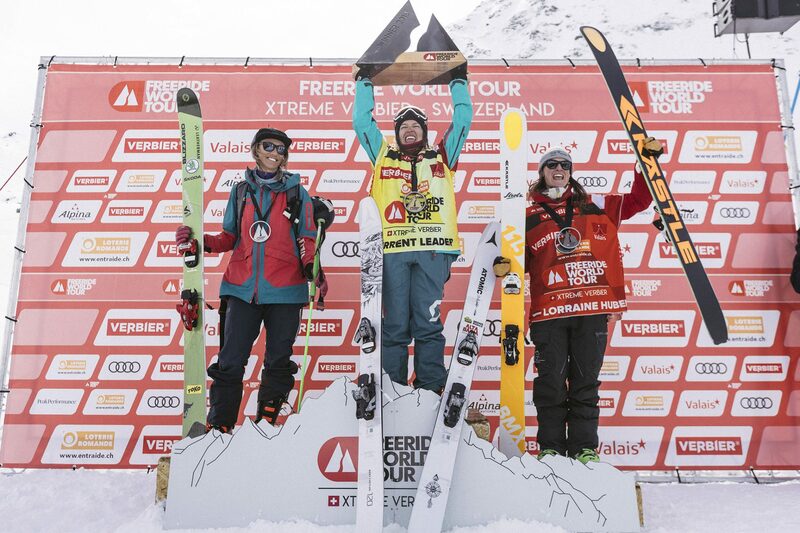 After two third-place overall finishes in her first two years on the Tour, Italy’s Arianna Tricomi clinched a decisive victory, saying goodbye to bronze and hello to “Freeride World Tour Champion” in the women’s ski category. The overall points leader coming into the final stop, Tricomi not only defended her lead but won the final stop outright, cruising confidently through steep, technical terrain and stomping multiple drops along the way. It was, incredibly, the third FWT stop that she won in a single season—a feat I’m not sure has been accomplished by anyone before. 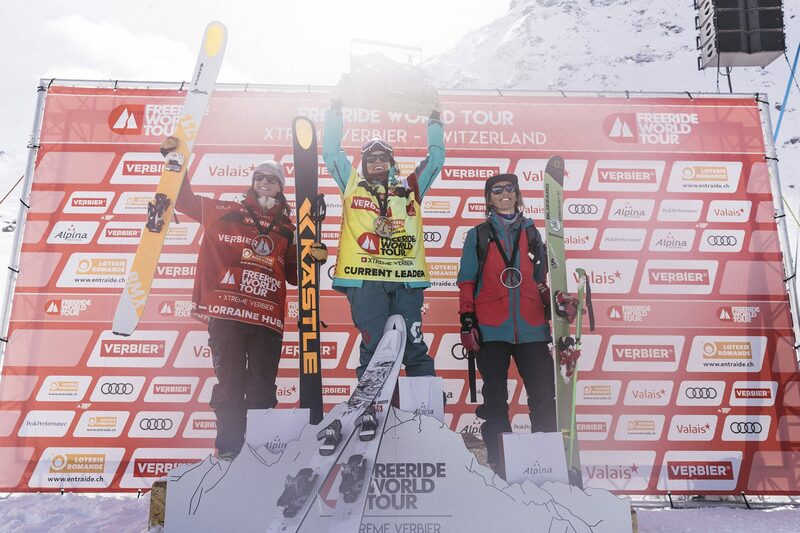 On her way to the win, Tricomi fended off last year’s overall winner Lorraine Huber, who took second place at Monday’s contest after flashing a beautifully skied line with technical drops, and last year’s Verbier Xtreme winner Eva Walkner, who had to settle for third place, and second in the overall standings. 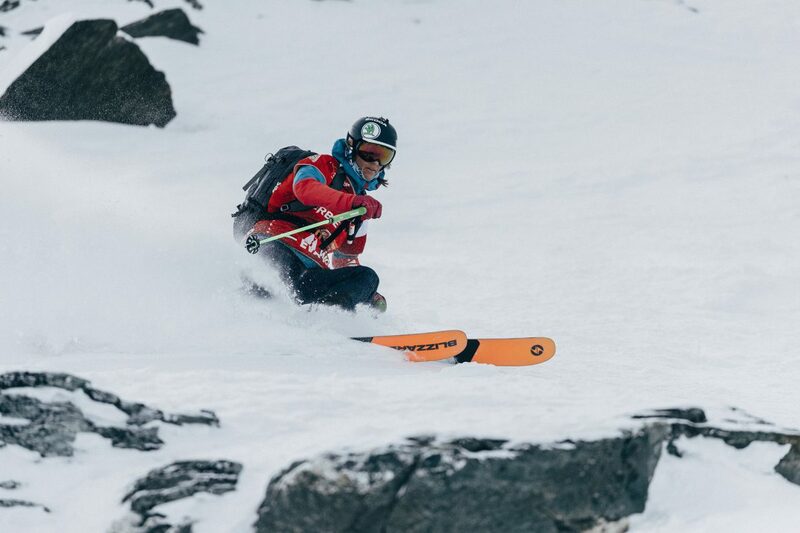 A standout fourth-place finish came from Hedwig Wessel, a two-time Olympian in moguls from Norway who put on an impressive show of edge control and skiing ability that briefly made this extremely gnarly venue look like a beginner’s slope. Not all the women who dropped in emerged as elegantly. 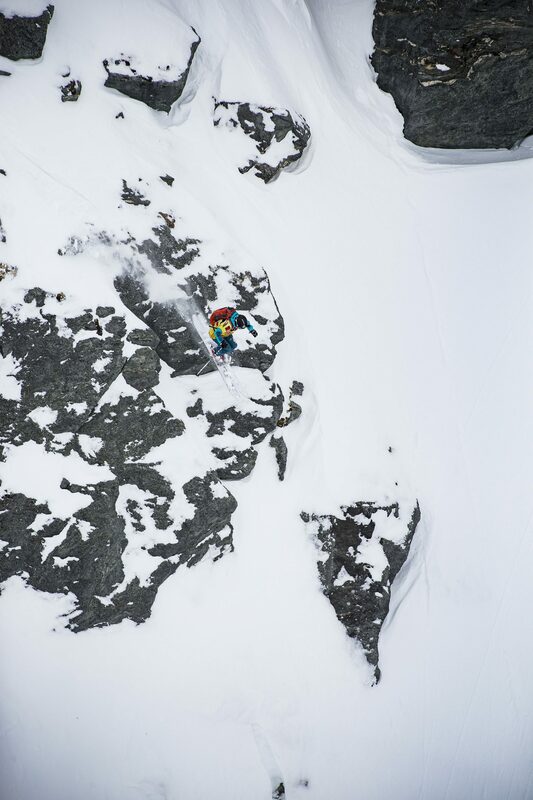 Switzerland’s Elisabeth Gerritzen took a nasty tumble at the top of the venue on her first air, rolling down the steep slope for some time before she could arrest her fall. 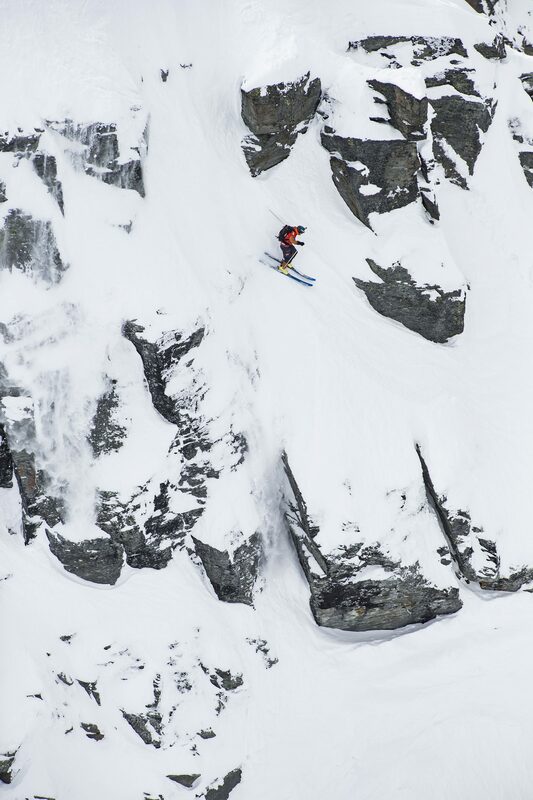 American Hazel Birnbaum went for broke with a straightline double drop that she sent absurdly far down the slope, to her back—thankfully airing completely over another cliff band in the landing. 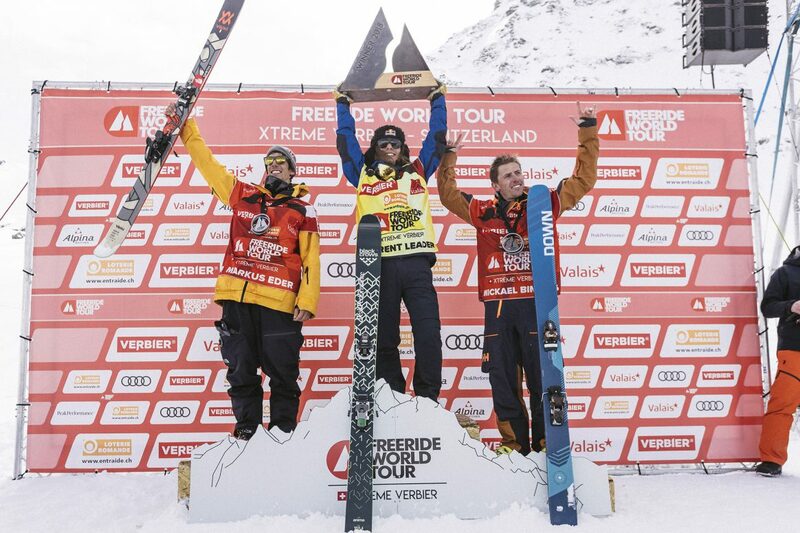 On the men’s side, Kristofer Turdell won the overall 2018 title, though he didn’t ski at the final stop due to injury. He wasn’t the only top competitor to miss the last stop due to injury—Ivan Malakhov and Logan Pehota were also forced to bow out early this season. Despite these sidelined standouts, the men’s ski field still put down a spectacular show, with France’s Mickael Bimboes taking the win with a fast-and-furious speed-skiing run through some of the most technical terrain on the face and stomping two massive drops clean—including the “Xavier de le Rue cliff” first opened up by guess-who in 2012. 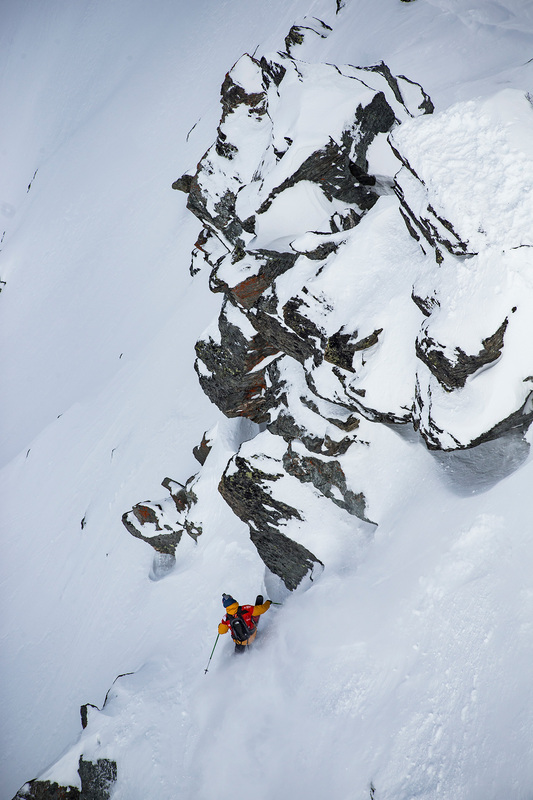 Close behind Bimboes was a pack of hungry radicals headed up by New Zealand’s Craig Murray, who stomped the piss out of not one, but two massive 360s, and Markus Eder, who put down a 360 of his own as well as what might have been the first nose-butter 360 off a cliff in FWT competition—and a big, gnarly, jagged, Bec des Rosses cliff at that. 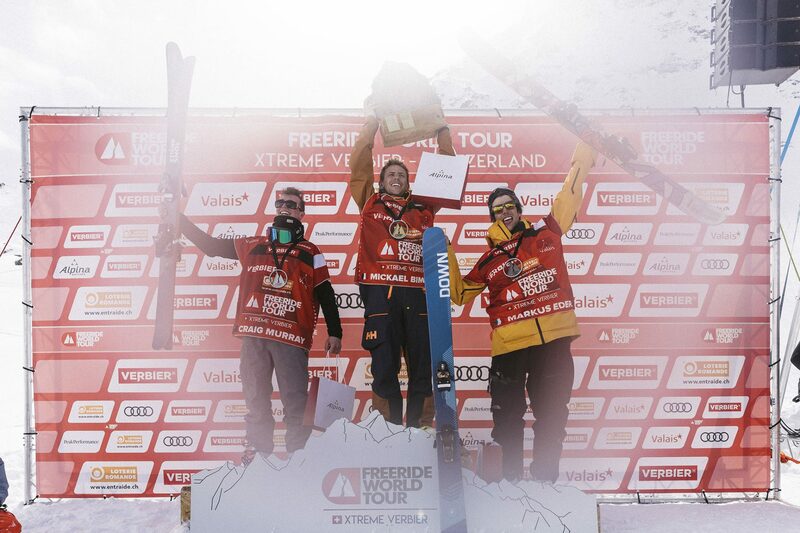 The men’s podium finishers were followed by several other highlight runs—in fact, seven out of the 10 riders posted runs of 80.00 or above. Yann Rausis bagged on of the biggest drops on the venue—a cliff that we might now be calling “the Yann Rausis cliff”—Berkeley Patterson stomped a massive 360 on his Verbier debut, and even Sam Lee, in eighth place after a clean punch front in the pow, decided to huck a massive cliff for the crowd. 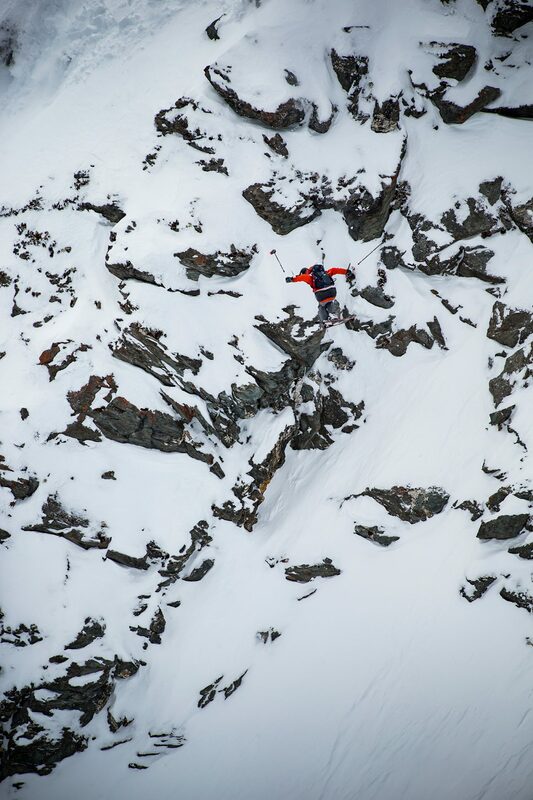 That’s it, that’s all for the 2018 Freeride World Tour and Verbier Xtreme. Congratulations to the winners!